Physical activity in any form, even taking a walk around the block, is healthier than sitting on a couch. However, not all forms of activity are created equal. 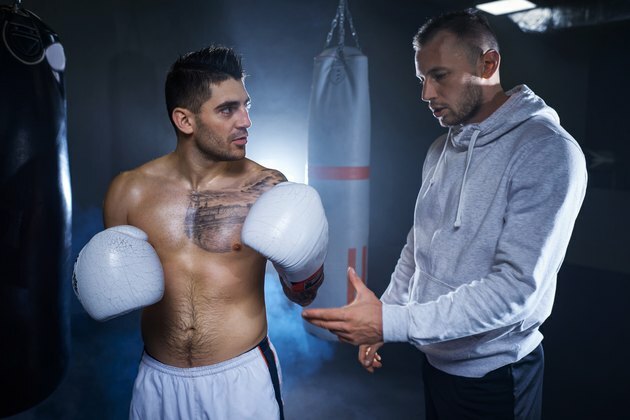 Boxing is one of the most physically demanding sports on your lungs, heart and muscles. If you can make it through this hard work you'll be rewarded with health benefits like a longer life expectancy, less stress and more muscle. It's not uncommon to see a boxer glide around the ring covered in a sheen of sweat. That's because boxing is such a physically demanding sport, especially on the heart and lungs. The minute-long rest between rounds in a boxing match is barely enough time for the competitors to catch their breath. All of the huffing and puffing that comes along with throwing punch after punch is building your cardiovascular system over time. The better shape your heart and lungs are in, the healthier you are. According to an article from the University of California Davis' Sports Medicine Department, being in good shape increases your life expectancy. Boxers would be naturally lean even if they didn't need to make a certain weight class. That's because training like a boxer can make you burn around 30 calories per minute. 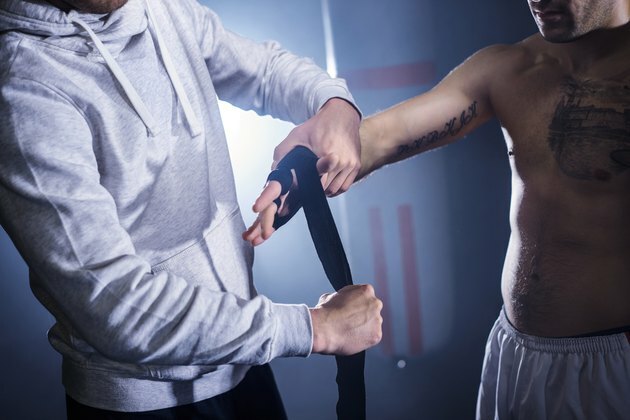 With 30 minutes of intense boxing, you could burn up to 900 calories. Even if a boxer wants to gain weight, he would have a hard time because he uses so much energy in training. Losing fat from your body makes your healthier and less likely to suffer from things like heart disease, type 2 diabetes and even joint pain. Of course, not everyone needs to lose fat, but if your doctor tells you that you're overweight it would be a good idea to pick up boxing. In the same sense that it's tough to box and not lose fat, it's hard to keep off muscle. In boxing you quickly snap out a punch with all the muscles of your lower and upper body, then retract it and move around. You're constantly pushing muscles to their maximum power and speed. While being chased around a ring by an opponent desperately trying to hit you is not at all calming, training like a boxer can be. Exercise, in general, has a stress-relieving effect as because it triggers the feel-good hormone, dopamine, to be released. Boxing is also particularly de-stressing because you can punch things and work off pent-up aggression. Typically a boxing workout involves hitting a heavy bag or a lighter speed bag. Punching inanimate objects is a great way to release any built-up energy from anger or stress. The best part is that you can't hurt anyone if you punch boxing bags. Relieving stress can lower your blood pressure and make you feel happier -- all the more reason to go box.